A lightweight and durable black material case. 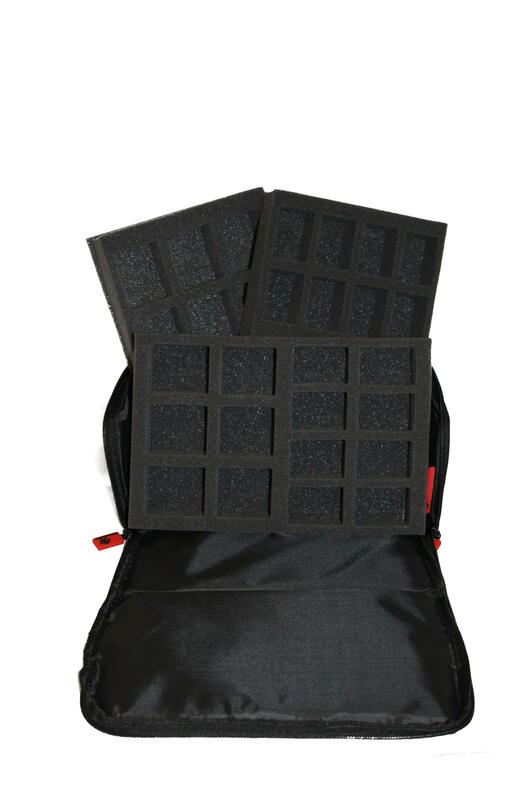 Each surface is reinforced with plastic lining for extra protection for your miniatures. 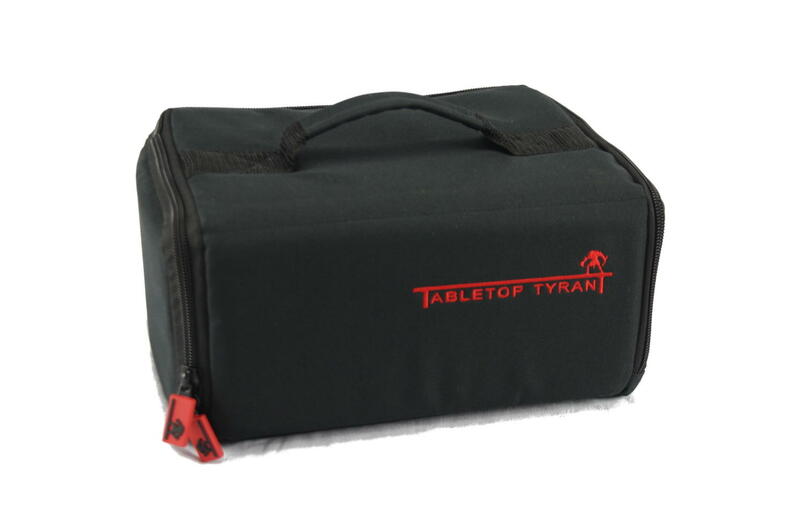 Water resistant and specially designed for our range of Tabletop Tyrant trays. 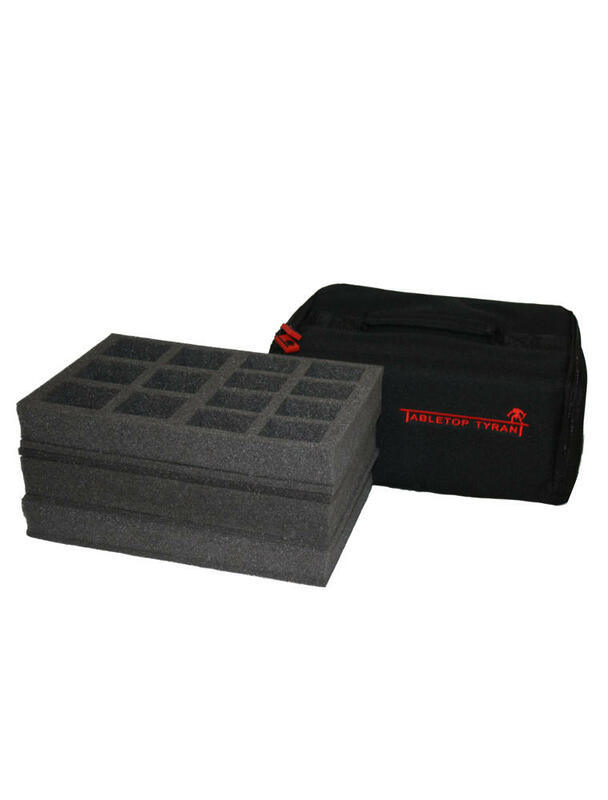 3 layers of Infantry foam, an Escher tray, a Goliath tray an Infantry tray and a cover tray. 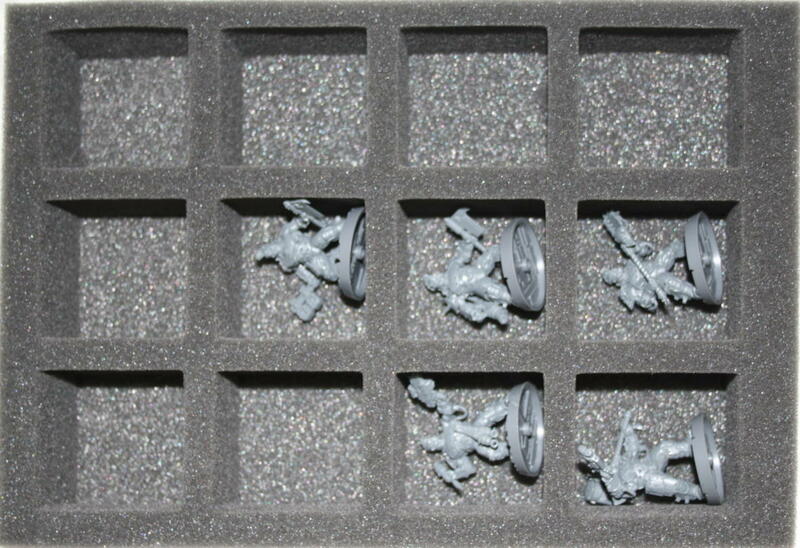 The standard half infantry tray is 25 mm deep and holds 16 models. 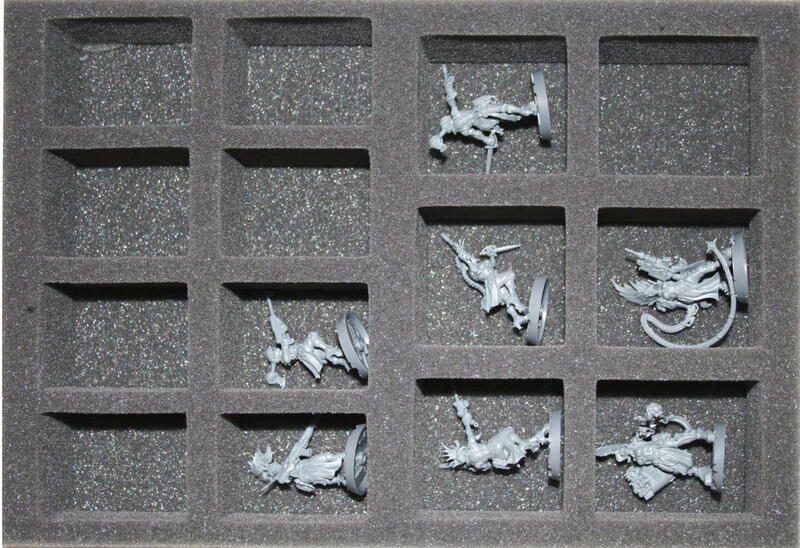 The slots are 35 by 50mm making them perfect for extra grunts or objectives.